Kahlan has a home! 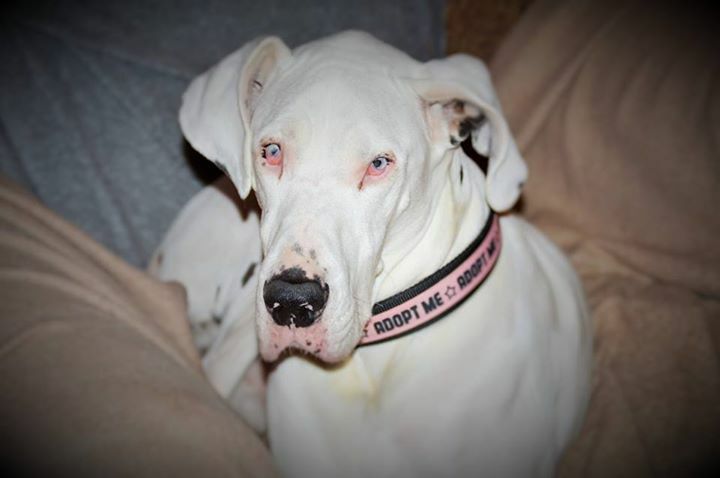 - Rocky Mountain Great Dane Rescue, Inc.
Kahlan has a home with Karen in Libby, MT!!! Karen currently owns two terriers. She has previously owned other giant breeds but Kahlan will be her first ever Great Dane. She lives in a small mountain town that has lots of space to go for walks and hikes. She is aware of Kahlan’s eye condition and is prepared to care for this sweet girl and give her the forever home she deserves!! Way to go, Kahlan!